Expectations can be high for your first purchase so rather than immediately going for an all-rounder its best if you can thoroughly identify you likes and dislikes in terms of boating activity and then select the boat that will best meet those needs. For example a fast ski boat is not going to perform well as an off shore fishing vessel and a sailing yacht is not going to work for estuary recreation. These are extreme examples but the point is that no one boat is going to be ideal for every situation. Most first time recreational boaters enjoy 18-24 foot, towable bowriders, deck boats and cuddy cabins. Check out the waterways where you live. What type of boat is most common? The most common type will have better resale in your particular area. When buying a boat try to spend as much time as possible on the vessel (or one similar) before purchasing. Visit your local marina or boating club and meet people with a boat similar to the one you are thinking of buying. They will be more forthcoming with information regarding benefits and drawbacks of their boat and may also offer invaluable insight as to what to specifically look out for when buying your own. 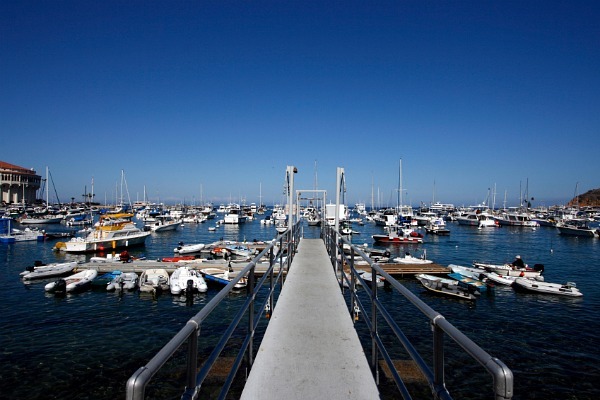 An accredited boat broker can also be an invaluable source of information and advice. Study the boating market thoroughly by looking through classifieds of both new and used boats in the category of interest to you. Prices can vary significantly even within the same make, model and age so it pays to do your homework and find out what good value is for yourself. Read as many reviews as possible and ask for an on-water test sail. This will help familiarise you with the boats layout and features. You can start your research today on our NEW BOATS search page or view all the Yacht and Boat Brands. Boat share is a popular choice for many new boaters as it affords the opportunity to share the cost amongst several owners, reducing not only the capital investment but also the ongoing maintenance and running costs. Yacht and Boat have boat share companies for you to browse or you can dive right in and start browsing the boat share and yacht syndication boats available in the boat sales classifieds. The average Australian boater gets out on the water once a month so even if you’re buying a used boat, statistically it probably hasn’t clocked up many miles or hours. There are some other advantages and savings too. Safety equipment and other fit out extras may come included. It will have a few cosmetic blemishes that you will inevitably add to whilst you gain more boating experience. Scratching or dinging a brand new boat will almost certainly make you feel worse than adding to existing ones on a used boat. Having an independent assessment done by an reputable professional is a wise move under any circumstances. If you are considering a fibreglass boat look for cracks that could have occurred from structural failure or an impact. Deep ones should alert you to potential problems as opposed to superficial ones from normal wear and tear. If there have been repairs made see that they have been done by a quality repairer – ask to see receipts. In aluminium boats look for bad corrosion of the metal and cracks at welding joints. Mismatched or patchy paintwork indicates repairs and that the vessel may have been in an accident. Is the keel run straight both horizontally and fore to aft? Check for internal rust marks or lines of rust, which could indicate that the boat has taken on water at some stage. Lift up and look under any objects on the boat – ropes, articles on deck, flooring etc. and look for discolouration that could indicate a poorly maintained vessel. Ensure that the ropes and rigging are not deteriorated or weak. Check interior for soft spots in the floor, condition of upholstery, windows for operability and internal water stains. Use your nose – does it smell musty or mouldy inside? Ensure that the bulkheads are not loose. Make sure the motor secured well and if an inboard check to ensure the shaft doesn’t wobble. Have a look for cracks and on the prop as well as looking under the outboard hood for corrosion. Check to see you have good water flow when the engine is started and that it tilts properly. Ensure that all handrails are securely bolted and that all the required safety equipment is on board. Check the service records for regular maintenance and any significant or recurring problems. Have an electrical professional check the steering, hydraulics and fuel lines. NOTE: The above is just a brief guide and does not take the place of a professional surveyor. Additionally, try to keep in mind that all used boats will have obvious signs of use and should not be dismissed hastily when reviewing them. However a neglected boat is best avoided unless you have the time, money and patience to restore it. When conducting your market research it is a good idea to have a list of questions and criteria (see below). Make plenty of copies of the list so you can compare boats with consistency. An excel spreadsheet can be helpful too. One you have narrowed your broader search down to a dozen or so boats that you’re interested in you are in a well informed position to begin to make offers. It is unrealistic to expect an incredible deal. Remember that if something looks too good to be true, it probably is. As long as you know the reasonable price for the vessel try to negotiate that with the seller. Price is not the only thing that can be negotiated. Consider the trailer, motor and equipment to use when in the negotiation process. Make sure you test drive the boat and have an independent surveyor assess the vessel. Buyer beware – there are many aspects in the process of buying a boat. This process differs in each State and depends on the type of vessel. Buying and selling through a reputable Boat Dealer is wise. Contact your State Industry Body or Government Authority for more information. What activities was the boat used for? How often was it used and how many hours has it done? Has the boat ever been in an accident? What repairs have been done and by whom? Are there outstanding repairs required? Has the boat ever been safety inspected? If so, when? Is there any finance owing? Who is the sole owner? How has it been stored? i.e. marina, dock, anchor, trailer outdoors or garaged? Are the graphics and fiberglass original (if applicable)? What is the condition of deck, upholstery and interior like? How is the condition of the hull and the paint? Is it all original fiberglass and graphics? Does it include a trailer (condition of trailer)? Does it include a motor (make, model and condition)? Is there anything else you can tell me about the boat? Value the boat, motor and trailer separately as boat dealers do, to make sure you are getting a good deal. If the trailer or motor that are on offer with the boat it may pay to negotiate to either remove them from the deal or budget for replacements. Reconditioned motors are easy to find and you can pick up a near new motors are traded in frequently by commercial users and will cost you much less than a new one.